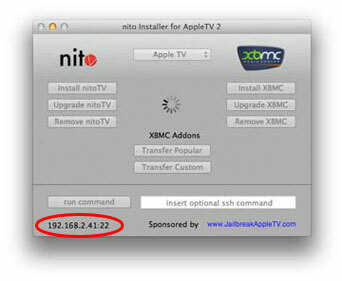 If you have an Apple TV 2 (the black one) and would like to install XBMC on it, then you need to follow the guide below. 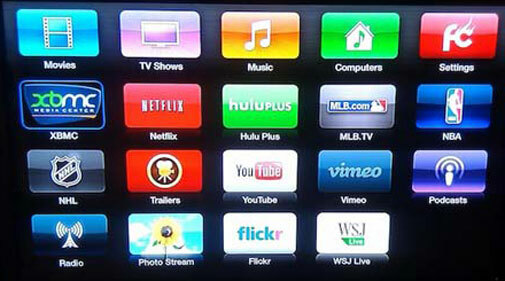 Installing XBMC on Apple TV (the black one). The jailbreak is quite involved so we wont go into it here but there are plenty of guides out there. 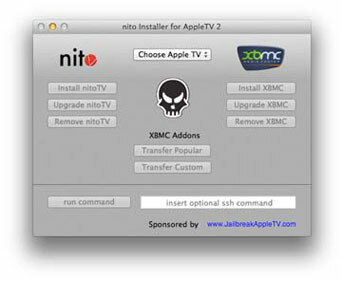 Step 1: Download (Mac / Windows) and Launch the “nito Installer” application on your computer. Making sure that both your computer and your Apple TV are both on the same network before continuing. Step 2: Choose your the Apple TV device by clicking the “Choose Apple TV” drop down list at the top of the application window. Step 3: Now verify that the ip address displayed on the lower left of the application window matches the one listed on the “About” tab of your Apple TV on your tv. 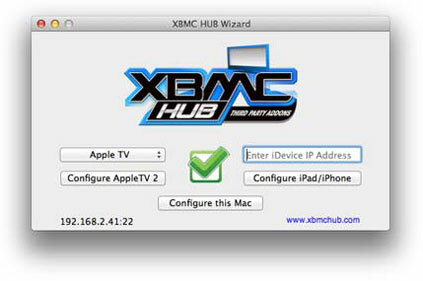 Step 4: Click on the “Install XBMC” button on the right side just below the XBMC logo and wait a while until a green checkmark is displayed and your Apple TV automatically reboots. Step 5: Once rebooted, launch XBMC for the first time, ignore any on screen error prompts, just leave it as it is for now. Step 6: Download (Mac / Windows) and Launch the “XBMCHUB Wizard” software application on your computer. Step 7: Click on the “Choose Apple TV” drop down box on the left side of the window, and select your Apple TV from the list. Step 8: Click on the “Configure AppleTV 2″ button from the drop down list then wait a few minutes for the process to complete. Step 9: Once you see a green checkmark displayed and your Apple TV has automatically rebooted itself it means that you’re done and done. Step 10: Relaunch “XBMC” for the first time and wait a minute or two for on screen updates to process before you begin using it. 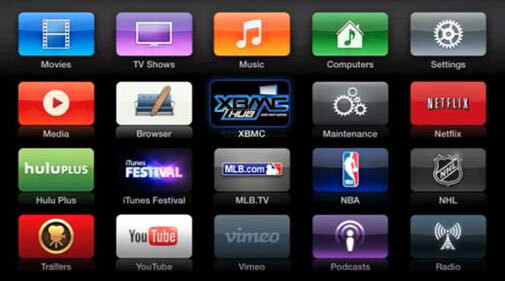 You now have the most feature filled, custom XBMC setup.